While on the surface this bill appears to address rising healthcare costs, a primary concern of our membership, NJBIA believes price controls as set forth in A-583, whether applied to drugs or other consumer goods, are not effective and have many unintended, negative consequences, which include stifling innovation and investment in New Jersey. Price controls can lead to higher retail prices in the market due to lack of competition and fewer choices for consumers. Lack of competition, will bring fewer products to market and, as a result, lead to fewer resources spent on developing products. When government adopts a price control, it defines the market price of a product and forces transactions to take place at that price, rather than the price set through supply and demand. The intersection between consumers and business should determine the price for goods and services, not the government. Furthermore, we believe this bill will stifle innovation and investment in New Jersey. Once government sets prices of consumer goods below market levels, resources such as talent and investor capital leave to seek a better return elsewhere. This means there will be less research, development and innovation in the state. As a result, fewer new innovative products will be available to consumers. NJBIA supports innovative collaboration between private industry and New Jersey’s higher education institutions because of the value it provides through the research and development of products. R&D conducted here in New Jersey is the source of investment funds, jobs and new economic development opportunities. 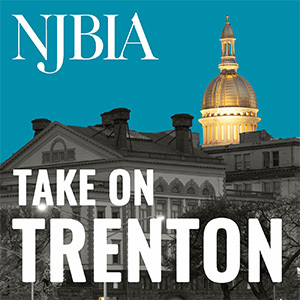 NJBIA feels this bill would have a negative effect on this innovative relationship and the state’s economy. To ensure New Jersey remains the “Medicine Chest of the World,” investment must continue and the collaboration between the private sector and our higher education institutions must be encouraged so that more innovative products are brought to market. Thank you for the opportunity to express our concerns about A-583.